As cyberspace has emerged as the new frontier for geopolitics, states have become entrepreneurial in their sponsorship, deployment, and exploitation of hackers as proxies to project power. 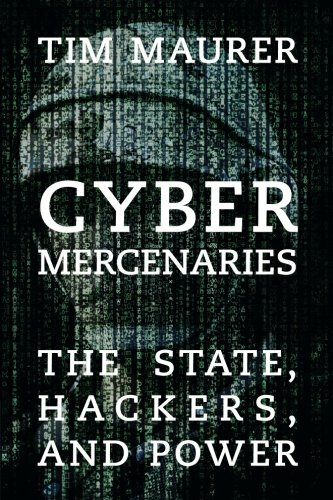 Cyber Mercenaries explores the secretive relationships between states and hackers. As cyberspace has emerged as the new frontier for geopolitics, states have become entrepreneurial in their sponsorship, deployment, and exploitation of hackers as proxies to project power. Such modern-day mercenaries and privateers can impose significant harm undermining global security, stability, and human rights. These state-hacker relationships therefore raise important questions about the control, authority, and use of offensive cyber capabilities. While different countries pursue different models for their proxy relationships, they face the common challenge of balancing the benefits of these relationships with their costs and the potential risks of escalation. This book examines case studies in the United States, Iran, Syria, Russia, and China for the purpose of establishing a framework to better understand and manage the impact and risks of cyber proxies on global politics. Ben Wittes, co-chairman of the Hoover Institution’s National Security, Technology, and Law Working Group, interviewed Tim Maurer and discussed Maurer’s new book, Cyber Mercenaries: The State, Hackers and Power, an exploration of the intersection between cyberspace and geopolitics. The use of cyber proxies in the former Soviet Union today demonstrates a lot more about the political realities in those countries than just the role that hackers play. Many states are employing ostensibly independent hackers as proxies to project influence both domestically and overseas. To understand how Iran uses cyber proxies, it’s important to understand how Tehran thinks about cyber security in the first place. International humanitarian law applies only to international and non-international armed conflicts. Most offensive cyber operations to date have not taken place during an armed conflict. States use proxies to project power through cyberspace, some capable of causing significant harm. But there is a lack of clarity on what, exactly, the term ‘proxy’ means. An exploration of the role that non-state, ‘proxy’ cyber actors have played in the Ukraine crisis.